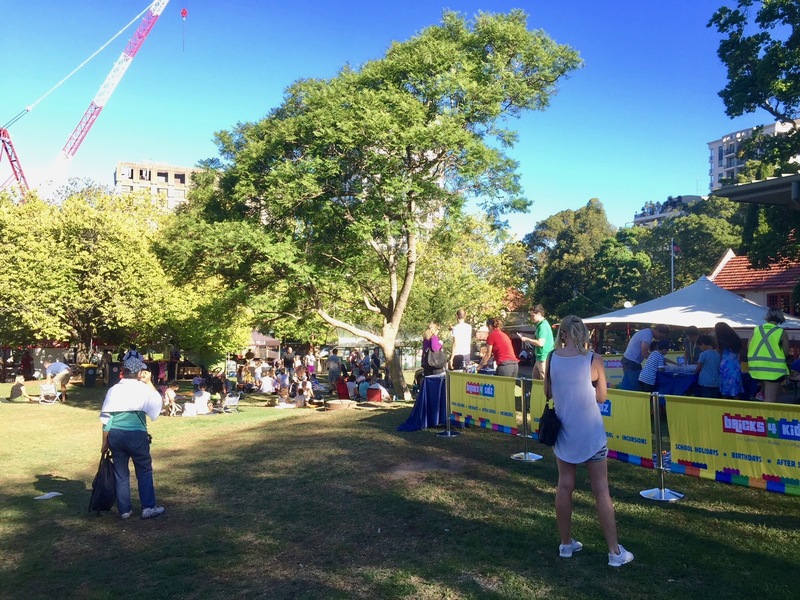 BRICKS 4 KIDZ at North Sydney's Twilight Food Fair! Last night, BRICKS 4 KIDZ Lower North Shore, Sydney was invited by North Sydney Council to entertain the kids at their Twilight Food Fair. From the photo, it looks like a top night and a great event! As Australia’s Children’s Entertainment specialists, BRICKS 4 KIDZ can come to your corporate event, family day, company Christmas party, wedding or function of any size and do what we do best – entertain those kids! We deliver safe and hassle–free AWESOME programs and workshops with LEGO® Bricks, using our own unique in-house kits and models with a variety of themes to suit any occasion. We can bring our non-stop FUN to your place!